Pictured are: Joseph Miano, Julian Matlock, and men identified as Wicker, Spadano, and Demeako. During the occupation of Japan. Includes the soldier's home states. 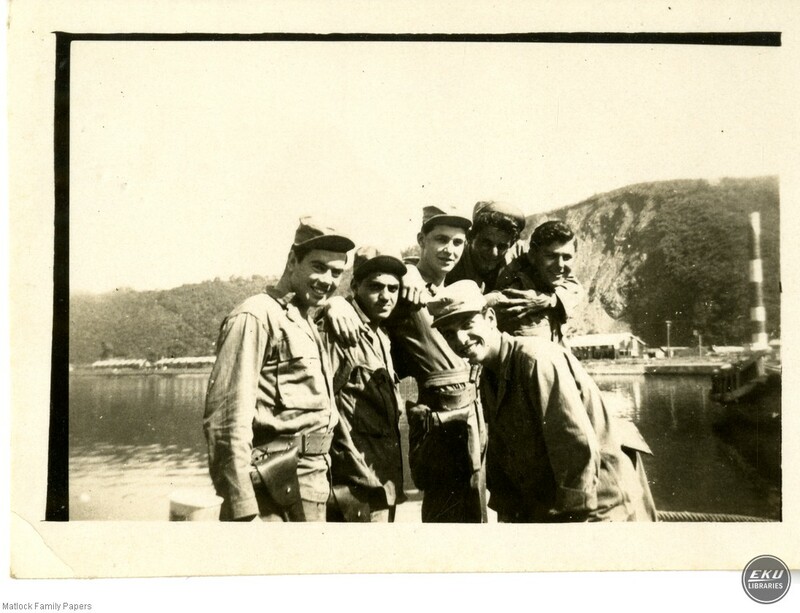 “Soldiers on a Tugboat,” Digital Collections, accessed April 23, 2019, https://digitalcollections.eku.edu/items/show/27423.